Green MEPs have lodged a complaint to denounce the lack of transparency in EFSA’s assessment of glyphosate. They hope to change the internal rules of the agency to boost transparency and limit lobby influence. 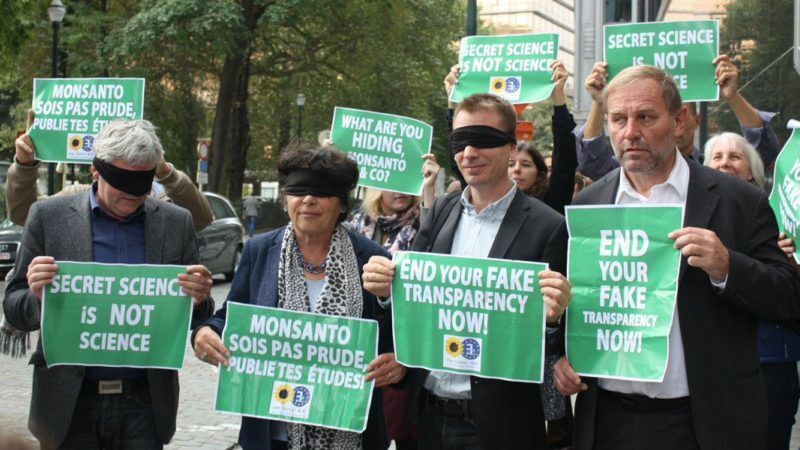 “Secret science is bad for your health,” said Michèle Rivasi, a French Green MEP. Together with three of her colleagues, she is campaigning for more transparency within the EU’s scientific agencies. On 24 May, Heidi Hautala (Finland), Benedek Jávor (Hungary), Michèle Rivasi (France) et Bart Staes (Belgium) lodged a complaint against the European Food Safety Authority (EFSA) for not releasing the studies upon which it based its assessment of glyphosate. In 2016, the agency deemed that this controversial pesticide posed no threat to consumers. Just the previous year, however, the International Agency for Research on Cancer (IARC) had judged the substance “probably carcinogenic”. Since then, the European agency has refused to release most of the studies behind its opinion, arguing that they come from the industry and are thus protected as trade secrets. “But without this crucial data, independent experts cannot check the validity of EFSA’s conclusions. This has been underlined by the toxicologist Christopher Portier in his letter to Jean-Claude Juncker”, said Rivasi, who is a biologist. The shreds of information the Greens did manage to obtain by piecing together redacted data and missing documents are, however, enough for the toxicologist to conclude that the assessment carried out by EFSA did not consider important elements that could prove glyphosate’s carcinogenicity. Leading toxicologist and environmental engineer Christopher Portier has written to the European Commission denouncing the poor scientific quality of the EU’s research into glyphosate. EURACTIV France reports. If the agencies could only use publicly available studies for their opinions, the “multinational corporations that hide behind trade secrets” would not have so much influence over legislation, the French MEP explained. In practice, internal regulations can be changed on the initiative of the commissioner responsible for them. In this case, it would be Vytenis Andriukaitis. “We have already succeeded in having the regulations changed, we will keep up the pressure,” Benedek Jávor insisted. 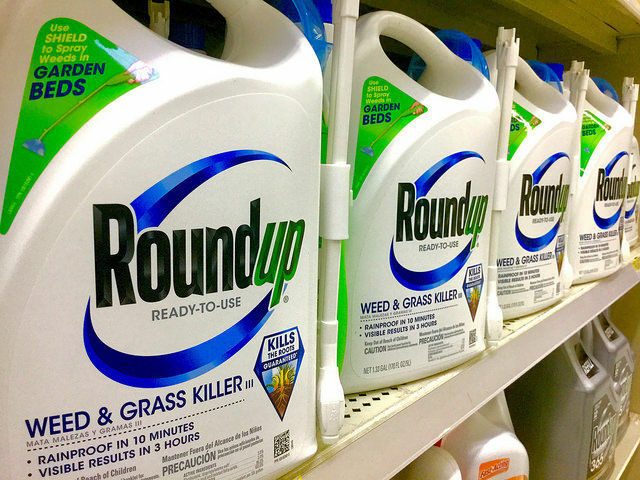 A new report accuses glyphosate producers of “buying science” in order to secure the substance’s position in the EU market. The four MEPs have had numerous exchanges of views and meetings with members of EFSA. They think they agency is actually in favour of more transparency, but that its hand is stayed by trade secrets legislation. And EFSA is not about to risk being hauled up in court by the members of the Glyphosate Task Force, a coalition of 23 powerful manufacturers of the substance, including Monsanto. Yet, the publication of information concerning emissions of chemicals into the environment is supposedly guaranteed by the Aarhus Convention on access to information, public participation in decision-making and access to justice in environmental matters, as well as by several past court judgements. Of course, the agrochemical industry and traditional farmers claim it is impossible to farm without glyphosate. But a number of studies, as well as the proven success of alternative practices, such as organic agriculture, contradict this claim. “They always say it’s impossible, we should not believe it. That’s what they said about asbestos,” said Bart Staes. “We do not need to find new chemicals, we need to change the way we cultivate,” Jávor added. Solutions exist, even for the agri-food sector, Rivasi promised. And those solutions do not imply any necessary decrease in yield and production. Furthermore, added Heidi Hautala, they are usually much better for the environment and the soils. These solutions do not necessarily mean getting rid of all pesticides. Agroecology is a practice by which farmers try and reduce as much as possible the chemicals and external products they use on their crops. What this does imply is a progressive end to monocultures and artificial practices such as desiccation. The principle of desiccation involves killing the plant (by spraying glyphosate on it, for example) before harvest. The dying plant then sends all its remaining resources into the grain, which looks bigger when harvested. 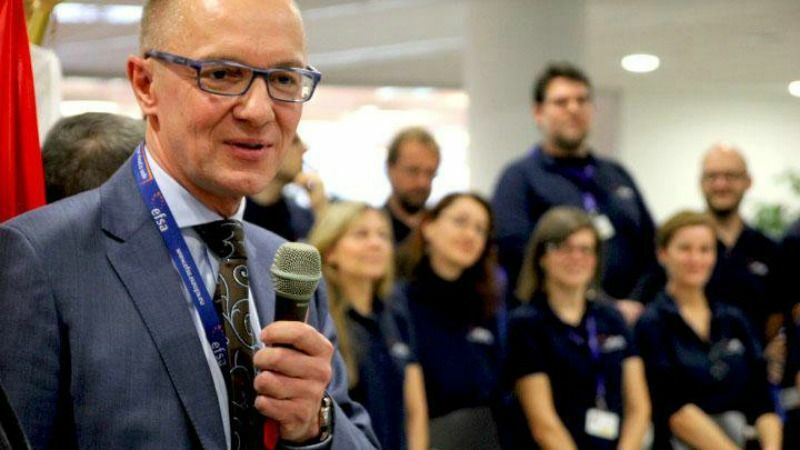 The executive director of EFSA himself, Bernhard Url, is not opposed to this notion of reforming agricultural practices. “It is not so much of a safety question because we only authorise products that do not cause harm, but we are entering a discussion about the acceptability of certain practices. Here we can say that maybe if consumers knew, they would make different choices. 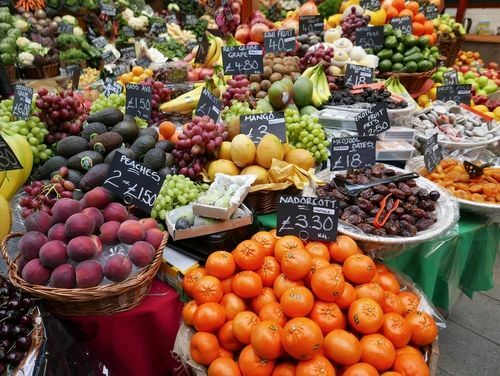 This is true for organic farming: consumers know that there is a different system available and make a choice”, he said in a recent interview with EURACTIV.com. This new debate also concerns products such as Smartfresh, a gas that enables the conservation of apples, for example, for months, without their external appearance changing. But according to some research, it seems that the products conserved lose their nutritional value in the process. Smartfresh is not dangerous, it is safe for human consumption, but are these practices really necessary? This “is not our primary mandate, which is safety and not efficacy or risk-benefit assessment. But it is a very pertinent question whether in the future more of these risk-benefit questions should come to our table,” Url said. Studies on the safety of GMOs, glyphosate or other pesticides could enjoy higher levels of trust from the general public if there were stronger guarantees that the science behind them is really independent, says Bernhard Url, executive director of the European Food Safety Authority (EFSA).